Within striking distance of the Summer Palace, and often combined on a tour, are the Beijing Western Hills, another former villa-resort area. On the approach is the Temple of the Sleeping Buddha (Wofosi). The drawcard is the huge reclining Buddha, 5.2 meters long, cast in copper, over 1300 years old. Its weight is unknown but it could be up to 50 tons. It's also barefoot and pilgrims used to make offerings of shoes. A short distance from the North Gate of the Western Hills Park is the Azure Clouds Diamond Throne Pagoda. Of Indian design, it consists of a raised platform with a central pagoda and stupas around it. The temple was first built in 1366, expanded in the 18th century with the addition of the Hall of Arhats (according 500 statues representing disciples of Buddha). Dr Sun Yasen's coffin was placed in the temple in 1925 before being moved to Nanjing; in 1954 the government renovated Sun's memorial hall which has a picture display of his revolutionary activities. Like the Summer Palace, the Western Hills area was razed by foreign troops in 1860 and 1900 but a few bits still poke out. A glazed tile pagoda and the remains of the Zhaomiao a mock Tibetan temple built in 1780, are both in the same area. 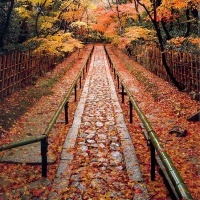 The surrounding, heavy-wooded park was a hunting ground for the Emperors, and once contained many pavilions and shrines. 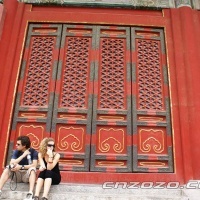 It's a favorite strolling spot for the Beijingers, many of whom go to gaze through the gates of the Xiangshan Hotel, one of the best in Beijing. There is a cable-car to the top of Incense-Burner Peak or you can scramble up the slopes. From the peak you can get all-embracing view of the countryside. You can hunt for a restaurant serving excellent spring-rolls, fried duck liver, spiced pork, spicy hot bean curd, fried noodles and some other delicious Chinese food, ramble off around the 150 hectares of parkland, and come back to the table. 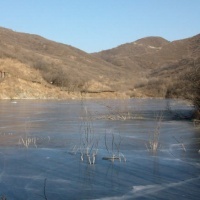 Directly south of the Western Hills (West Hills) is Badachu, the "Eight Great Sites", which is now called Badachu Gongyuan (Eight Great Sites Park, where temple fairs with interesting folk activities are held in each mid-spring). It has eight monasteries or temples scattered in wooden valleys. The "Second Site" has the Buddha's tooth pagoda, built to house the sacred fang and accidentally discovered when the allied army demolished the place in 1900. 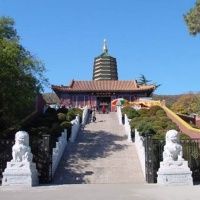 Apart from the temples or monasteries, the western hills also famed for the Ming Jingtai Mausoleum, the seven Ming concubines' tombs, hot springs, cascades, rare trees and animals. Two historic villages (both are related to the Qing military system), many famous ancient steles and blockhouses are found here. 'The Western Red Leaves' in fall and 'The Western Snow' in winter are the most famous natural sights in the hills. 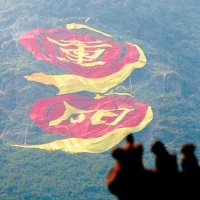 The Western Hills national forest park is only 17 km away from Beijing City and open 5am to 19:30pm. You can get a suburban train in the city and alight at Yuquan Lu (Road) and change bus line 389 toward the hills. 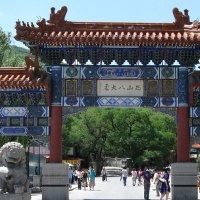 Take bus line 347 at Beijing Zoo or line 958 at Beijing Amusement Park can get there directly. The other bus lines such as 360 and 318 also reach the hills (get off at Nanhetan).